SQL injection is the number #1 security threat as per OWASP's top 10 threats of 2013. Even though there are tons of materials and many techniques out there on how to avoid being victims of such attacks, we still frequently see them! You probably may have seen the following in chain emails..
From the attacks we see as recently as this month, it looks like SQL injection is not preventable or is it? It is totally preventable. Before we say how, let's look at from where such attacks may most likely to originate. From your application, how can we mitigate SQL injection attacks? Notice that we are using prepared statements here. 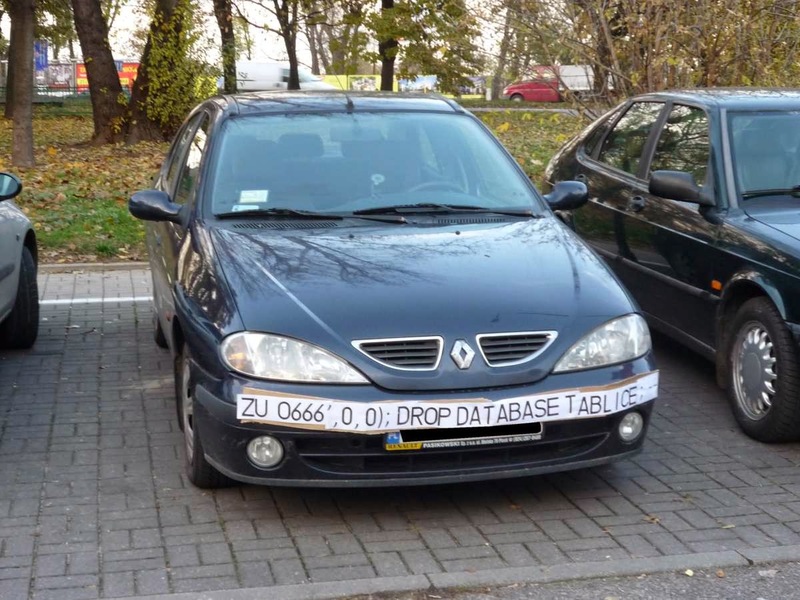 That's what makes you safe from SQL injection attacks. If an attacker inputs a malicious string as the variable "user", it will fail to return any value at line 7, as the sanitized input at line 6 does not match with any user name in the emp table. It should be noted that just because you use prepared statements, you are not safe! For example, you could use the same query string from the unsafe code example above as the input to the prepared statement in line 5 of the safe code example. Such an approach is still not safe due to simple string concatenation. Always use parameterized values! If I use prepared statement, do I still need to do validation? Yes, definitely; always validate user inputs! Prepared statements help you prevent attackers from injecting code (so that you don't need to do sanitation on your own. ), but it does not help with the semantics - that is, it does not check if the user entered the data in the format or domain you expect. For example, the expected values for one of the user input is 1 - 10 which is entered from a dropdown box in the browser. It is a good practice to validate the user input to make sure it falls within this range. You may think that .. why?, we have provided a dropdown; users cannot enter their own values? True in general, but you never know that an attacker could exploit a vulnerability in the client side and input a different value. From within databases (stored procedures), how can we mitigate SQL injection attacks? String concatenation is not safe. You must use bind variables instead as shown below. There could be situations where you may not be able to update your code base to prepared statements or safe stored procedures. What can we do in such cases? This is where you may use sanitation. You simply escape special characters such as commas from user input before using as part of a query. All major database systems provide functions to escape strings so that you do not have to cook up your own method. One precautionary note though: unlike prepared statements or safe stored procedures, such escaping may not prevent certain sophisticated injection attacks. As a rule of thumb, when you develop new code, always use parameterized inputs (i.e. prepared statements and dynamic SQLs with binding); that will give you a peace of mind about your code!